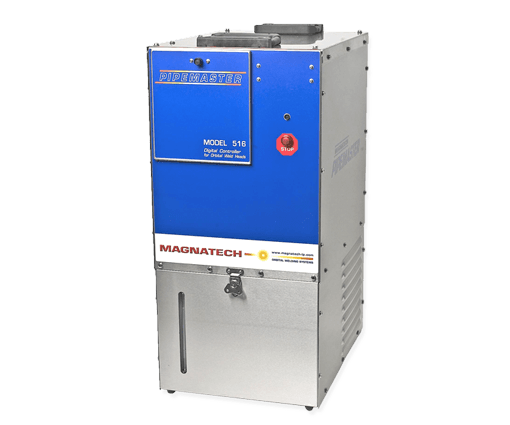 The Pipemaster 516 controller works with all Magnatech weld heads following the GTAW process for the perfect seal every time. The latest generation of Pipemaster controllers are the result of a new direction in power source design. The Pipemaster 516 brings the benefits of digital technology to the orbital welding customer: unparalleled accuracy, repeatability, and reliability. 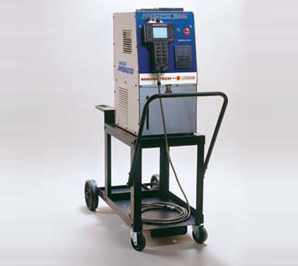 Digital technology forever eliminates the need for periodic weld head calibration – motor speeds and response characteristics remain accurate and stable regardless of wear, and weld heads can be interchanged without time-consuming calibration. 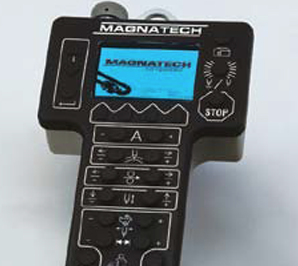 This handheld control is used to both program and remotely operate the controller. Designed to withstand hard use, the pendant incorporates a completely sealed, waterproof silicone rubber panel keypad, impervious to grinding debris and weld spatter. The color LCD display is protected by a tempered glass shield The intuitive switch layout allows the welder to make program override corrections without lifting his hood. A gasketed storage box for the Pendant is located behind a hinged panel on the front of the Controller.